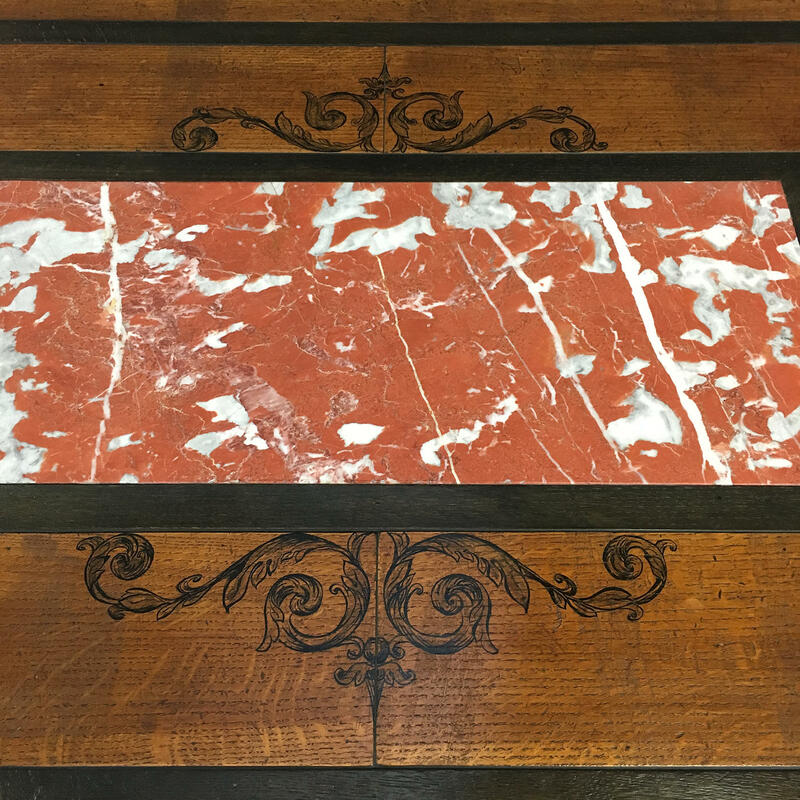 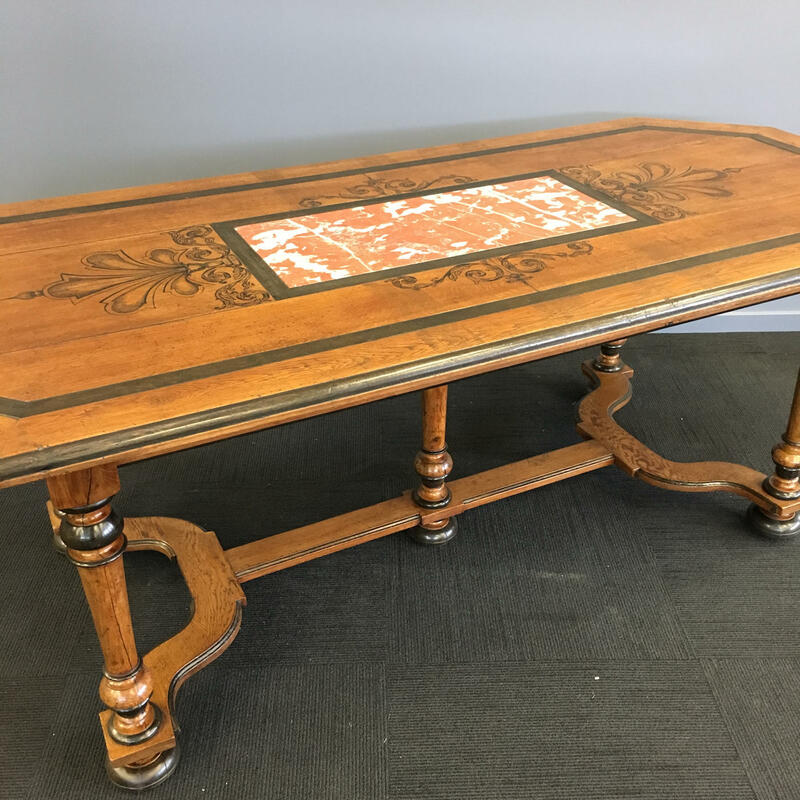 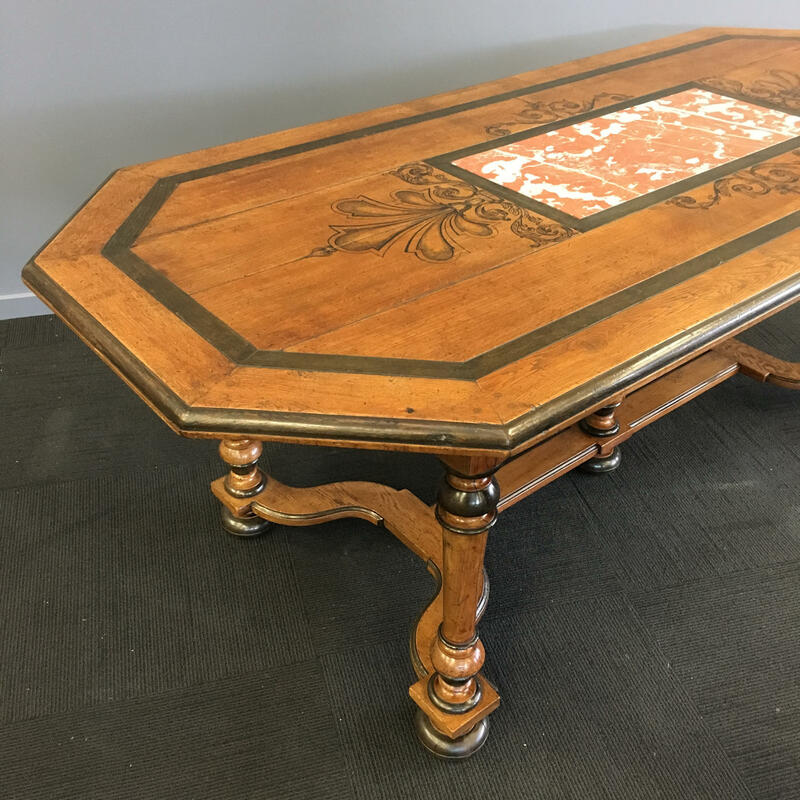 French Oak Dining Table inset to top with marble plate, hand decorated with inkwork motifs and with stretcher base. Coming from the Rouen region of France this piece seats eight comfortably and dates as 1920s. 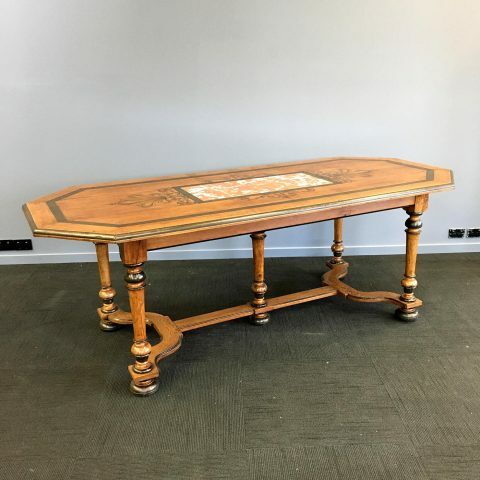 215cm Long, 76cm High, 95cm Wide.